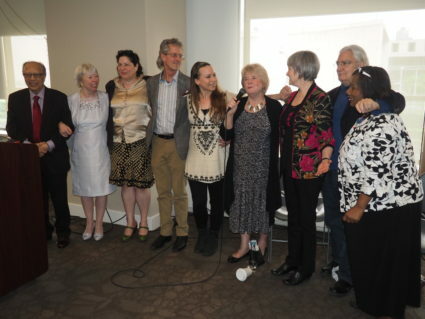 The World Peace Prayer Society joined hands with New Innergy, The Source of Synergy Foundation and United Religions Initiative to present cosmologist and author Dr. Jude Currivan at the Church Center for the United Nations on May 9th. 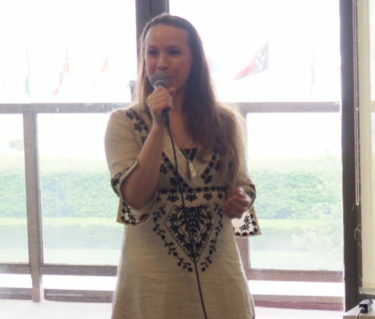 Partnering were UN colleagues: Global Movement for The Culture of Peace, the NGO Committee on Spirituality, Values & Global Concerns-NY, the UNSRC Enlightenment Society, and We, The World. 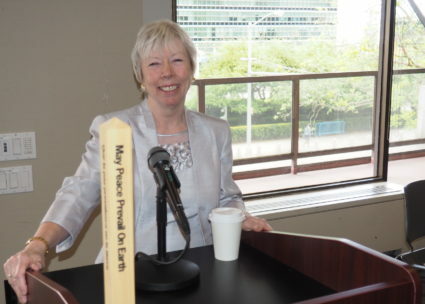 Dr. Currivan spoke from the heart about her new book, The Cosmic Hologram, which offers a new perspective on the unified nature of reality that could transform our lives, our work and the work of the United Nations. Three responders appreciated her profound insights and offered their expertise: Dr. Kurt Johnson on science, Myra Jackson on the Sustainable Development Goals, and Amb. 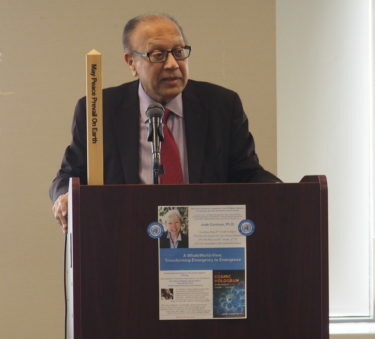 Anwarul K. Chowdhury on the future of the United Nations. 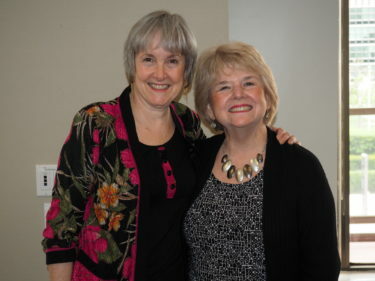 In addition, Kristin Hoffman performed the song she wrote for the book, “Univer-Soul,” and Rachel Baird offered an original poem. Amb. Chowdhury spoke about the major themes of his current work to encourage a worldwide culture of peace. He cited the spiritual dimension as key to the future and mentioned the importance of the Fuji Declaration, launched in 2015 by Ervin Laszlo with Masami and Hiroo Saionji.